We’d love your help. 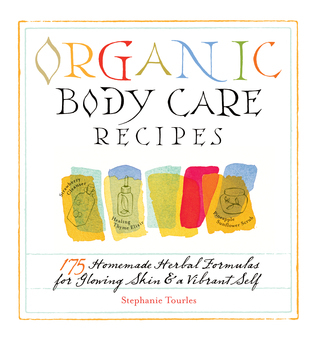 Let us know what’s wrong with this preview of Organic Body Care Recipes by Stephanie Tourles. To ask other readers questions about Organic Body Care Recipes, please sign up. I've made four recipes from this, the Aloe and Calendula Cleansing Cream, the Fennel Soother, the Smooth-as-Velvet Vanilla Toner, and the "Out Damn Spot" Antiblemish Elixir. I've not tried the vanilla one yet because it's still got a week and a half to steep until it's ready, but I've been using the others for the past several days. The cleansing cream is an incredible moisturizer. My husband has eczema on his hands, and this is just wiping it out. It's taken a little getting used to as a facial I've made four recipes from this, the Aloe and Calendula Cleansing Cream, the Fennel Soother, the Smooth-as-Velvet Vanilla Toner, and the "Out Damn Spot" Antiblemish Elixir. I've not tried the vanilla one yet because it's still got a week and a half to steep until it's ready, but I've been using the others for the past several days. The cleansing cream is an incredible moisturizer. My husband has eczema on his hands, and this is just wiping it out. It's taken a little getting used to as a facial cleanser since it's more like a cold cream than I'm used to, but I think it will be great for winter. The soother feels wonderful after a shower, and the antiblemish elixir seems to do a fairly good job of wiping out small pimples. I love the way all of this stuff smells. I love to just stick my nose into the jar with the cleansing cream and breathe in the rosemary fragrance. It was a bit of an investment to acquire all of the ingredients (including more obscure essential oils) and storage containers, but I can see my family using the recipes I've made with them. In the end, I think it will cost less than the natural skin care products in the stores, and I have complete control over what goes in them. Oh, and if I start making this stuff regularly, I might invest in an inexpensive blender just for this purpose. The cleansing cream (which contains beeswax and lanolin) was a beast to get out of my VitaMix. Still memorizing recipes and sorting through the herb lists I can fetch in my region. The flowers were horrid this year, due to the drought, and Bluegrass dustbowl, but I managed to get in touch with a few friends, and my dad(who grows luxurious roses, like you'd never believe), and ask that they harvest the petals for rose oil & water. Great for facials & bath rituals. For a rose toner, I've also learned adding witch hazel for astringent and vitamin E for natural preservation! It's real Still memorizing recipes and sorting through the herb lists I can fetch in my region. The flowers were horrid this year, due to the drought, and Bluegrass dustbowl, but I managed to get in touch with a few friends, and my dad(who grows luxurious roses, like you'd never believe), and ask that they harvest the petals for rose oil & water. Great for facials & bath rituals. For a rose toner, I've also learned adding witch hazel for astringent and vitamin E for natural preservation! It's really a remarkable science in itself. Roses have so many wonderful properties, that are seemingly lost in our daily regimen. Coming from an acne prone person, I can say, without a doubt-- chemicals and additives in our soaps, lotions and cleansers are practically the same as industrial detergents. I've done full field study on the subject, and besides- it's great for people to have simple means of using the resources in their surroundings to enhance their life. I can remember my grandmother talking of days long gone by, and how the mountain women of the Appalachian(my homeplace) would treat their PMS and menopause with rose tea; not to mention the dried rose petals used as snacks, too! I checked this book out from the library and even extended it once. So, I probably finished this book back in February. Since I've been making (and using) 90% of my family's body care products for over two years, there really weren't any big surprises in this book BUT I do think it's filled with a lot of great ideas. It provides a good starting place for people who want to use body products that aren't manufactured with tons of (mostly unknown) chemicals. I borrowed this book from the library, and knew I was going to have to buy it. The book is very informative. It thoroughly explains carrier oils, essential oils, butters, and other needed ingredients. The recipes are simple, detailed, and the diversity of the recipes makes this book useful for any body care DIY enthusiast. There are also gift ideas included for sharing your homemade projects. Endless resource with so many good recipes. I only wish it were more aesthetically pleasing. One of my many New Year Resolutions this year was to go organic. Be more green in every aspect in life. After researching all the negative impacts on commercial projects on my health, was the reason I wanted a change. Most of the chemicals in commercial can HURT you, possibly leading to cancer, infertility, and hormonal problems down the road. The skin absorbs the chemicals in shampoo, lotion, bath products, and everything else that comes in contact with it. You’ll have to work your way up to mak One of my many New Year Resolutions this year was to go organic. Be more green in every aspect in life. After researching all the negative impacts on commercial projects on my health, was the reason I wanted a change. Most of the chemicals in commercial can HURT you, possibly leading to cancer, infertility, and hormonal problems down the road. The skin absorbs the chemicals in shampoo, lotion, bath products, and everything else that comes in contact with it. You’ll have to work your way up to making ALL of these. you will just want to start with one or two first. Then when you get comfortable with those, you can progress further into more advanced and making different types. you don’t want to jump in making tons of different ones right off the bat, or you could become confused. This is a great book and I tend to keep it on my bookshelf for life. I want to continue my handmade business into also offering natural beauty products. I will have to wait until I move into a bigger house because there is NO way I have room for another hobby at this point, but it something I would love to do. This book is way too fat for what it is. The first 113 pages are useless, for one thing. I love the idea of healthy homemade self maintenance. But I do not love the idea of going out of my way, either by driving or by internet hunting, to find ingredients to allegedly make my life easier. I've priced some of the weirder ingredients in here, and, much like fast food is cheaper than organic food, chemical laden face care and conditioners are entirely cheaper than the weird assortment of crap in th This book is way too fat for what it is. The first 113 pages are useless, for one thing. I love the idea of healthy homemade self maintenance. But I do not love the idea of going out of my way, either by driving or by internet hunting, to find ingredients to allegedly make my life easier. I've priced some of the weirder ingredients in here, and, much like fast food is cheaper than organic food, chemical laden face care and conditioners are entirely cheaper than the weird assortment of crap in this book. Also they hold up longer. Fantastic recipes that are easy to follow using ingredients you can actually find. I have greatly enjoyed the reduced steps in my morning using some simple guidelines and reducing the amount of times a week I wash my hair. Who knew dry scalp could be from washing too much. Some of the items are expensive, but the quantities are small so it doesn't have to break you to try something new out. I hope when I get an oven and range to work on a couple double boiler recipes as gifts for super deserving Fantastic recipes that are easy to follow using ingredients you can actually find. I have greatly enjoyed the reduced steps in my morning using some simple guidelines and reducing the amount of times a week I wash my hair. Who knew dry scalp could be from washing too much. A fun collection of body care recipes for total body pampering. I love the fact that these can be made with easy-to-find organic ingredients, and are not too complicated. We used some of the recipes in a recent girlfriends' get-together, and had a fabulous time making wonderful face cleansing creams, masks and scrubs that worked great, and looked so pretty in our little decorated jars and tins. Nice gift ideas for the favorite women in your life. Very informative book. I am very concerned about all of the chemicals that we continue to put on our bodies with all the products we use as women. This book opened my eyes even more so and showed me how easy it is to make everyday products that are good for my skin and cheaper to make that what the stores sell. Best of all I can pronounce every ingredient I put in them and I know exactly what I am putting on the largest organ of my body, my skin. Lots of great recipes and seems like it's a great book on the topic, but I only give it 3 stars because the money investment just seemed too great unless you're pretty serious about it. Most recipes have long ingredient lists and there is equipment needed. I have very little of the stuff needed and I don't have the money right now, so I never tried a recipe, but when/if I ever do, I would definitely pick this up again for consultation. I borrowed this book from a friend, and it's looking like I'm going to end up buying it. The author is friendly, descriptive and just the right shade of crazy for me. Plus the creamy clay masks make my skin look fantastic. The ladies I love are going to get one hell of a body care package for Christmas this year. I love the order in which this book is written. First, the basics of skin, hair and nails then a great glossary of most used ingredients in the book's recipes so there is no double-guessing why the author included certain ingredients in certain recipes. Also, the recipes pretty much stick to well-known and easily accessible ingredients that an amateur bath and body "chef" might find have around. This book has some fun, easy recipes for homemade beauty products. Even at the health food store I typically don't like the products I find, so lately I have been motivated to try to make the perfect concoctions of my own. Tyler hasn't been overly excited about my new venture, but I am going to keep at it until I find something that he likes! Nikki and Andreas gave me this book for Christmas. I'm enjoying going through it and finding the recipes for what I want to make. I'm hoping to eliminate commercial skin and hair care products from our house as much as possible, along with commercial cleaning products too. Now to find a good place to buy essential oils! good information about how to avoid using products with harmful chemicals that your skin can absorb--but the recipes for the products are not that convenient, since most have to be made for immediate use. i was hoping to find recipes for things i could make in advance. i don't want to mash up mangoes and oatmeal every morning. I haven't read every word of the book, but I'm ready to move on with it. She has a very natural viewpoint to skincare, but it can be a bit overwhelming. I'm working on incorporating a few bits at a time to see how things go. Some of her recipes are dead-simple and some are more complex. I'll update here if they are awful or tricky when I try them. This book is AWESOME! It really teaches you a lot about the harmful ingredients in today's beauty products. Written really well and the recipes are simple to follow and will end up saving you money on beauty products. I have already tried a few recipes and love them. Would recommend this book to anyone. Oh wow, I loved this book! I borrowed it from my local library, but I will have to buy it soon. I've already made a few of the recipes and love the results. This is a must-have for anyone who wants to lead a more healthy lifestyle. 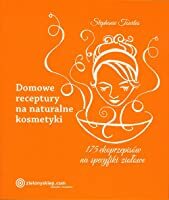 lots of interesting recipes for facial cleaners, toners, scrubs and lotions, with a few lip balms and a disappointingly short hair care section. a handful of random cold/flu remedies, bug repellents and sunburn treatments as well, and a large introduction to ingredients and their effects. I have a lot of cocoa butter sitting unused in my fridge and was hoping to find some kind of hand lotion I could make from it in this book. Unfortunately, most of the recipes in here aren't vegan. A promising lotion using cocoa butter also called for beeswax and lanolin. This book explains the dangers of using commercial products. It covers everything from ingredients, preperation and storage to the many recipes designed for babies through the elderly. I have tried some of the recipes and found them to be great alternatives to what I used to buy. Didn't get to actually USE any of the recipes (book was overdue back to the library) but flipped through it a few times and saw lots of great things for creams, lotions, cleansers, masks, and the like. Will definitely take out from the library again! A comprehensive of organic treatments, many of which I would never thought to make before reading. I love this book because it includes recipies for all different types of body care products, rather than just the most commonly used. I have loved making my own body care products!